So you purchased a 2016 or 2017 Pilot LX and you want the 2017 Pilot EX, EX-L, Touring (LED DRL and Halogen Low Beam) or 2017 Ridgeline RTL-E (LED DRL and LED Low Beam) headlamps in your truck. I don't blame you LED headlamps are super bright and super cool. Not to mention getting rid of that lame Hi beam DRL in favor of an LED strip. Seriously Honda. Who wants a Hi beam on low power for a DRL anymore. We all want an LED strip for a DRL. The only feature that you will lose is the flash to pass when the headlamps or park lamps are turned off. There is no way around this. If you don't know what flash to pass is then you won't be missing anything. Now you can upgrade your headlamps with our kits which include the headlamps and an adapter harness to get them to work you your vehicle. Just Added. If you have a 2016 - 2017 Pilot EX, EX-L, or Touring and want to upgrade to the 2017 Ridgeline RTL-E (LED Low beam), that option is now available as well. We also offer Delivery and Installation serves for these headlamps. 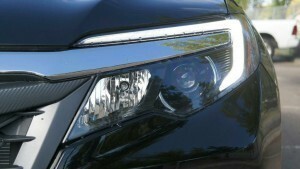 Yes that's right we will drive out to your home and install the upgraded headlamps for you. Installation of the headlamps requires removal of the front bumper. Which Pilot do you have? Which Headlamps do you want? Do you want your Headlamps installed?